In the five years she has been with Medical City Healthcare, Laura has transformed their online presence, creating social media accounts on Twitter, Facebook and YouTube for the institution. She shares a wealth of healthcare and marketing content on her LinkedIn feed. David is a LinkedIn Influencer for health care and marketing, and it’s not hard to see why. He regularly publishes insightful posts of his own on LinkedIn, while also sharing other valuable content with his thousands of followers. Though she is a data-driven, ROI-focused marketer, Terri still brings personality and heart to her position. Check out Terri’s profile to see the clever commercials UC Health has produced under her direction. Scott is the conductor of the 500-piece orchestra that is McKesson IWS, working within strict regulatory guidelines to produce compelling content for the organization’s target audience of radiologists, cardiologists, and health system leaders. Chief Experience Officers go beyond individual marketing campaigns, beyond inbound, outbound, and the funnel, to create holistic, immersive experiences for consumers. For example, check out Norwell Health’s The Return, a short film highlighting a revolutionary prosthetic for amputee swimmers. In addition to his daily duties at Humana, Dan is an author, podcaster, and frequent publisher on LinkedIn. We listed Dan as one of our 50 Social Media Influencers to Follow, and he’s been busy developing his thought leadership since then. With nearly 20 years of experience in marketing, Kelly Jo has the knowhow to direct marketing for one of the Midwest’s largest integrated healthcare systems. Her passion for her work, and genuine compassion for health consumers, makes her stand out in the industry. Named one of PR Week’s Health Influencer 50, Elaine has made her voice heard in the industry. Follow Elaine for original content, like her recent International Women’s Day post on LinkedIn, and insightful marketing and healthcare shares. In addition to her leadership role at Sharp Healthcare, Diane is the author of Women I Want to Grow Old With. Make sure to follow her on Twitter @Dianelofgren, too – she curates fascinating content on healthcare, marketing, and more. In her high-profile position at the Children’s Hospital Los Angeles, DeAnn has spearheaded creative campaigns with the potential to make real difference in the lives of sick children. On top of that, she’s a clear and compelling writer – check out this post on Millennials and social responsibility. 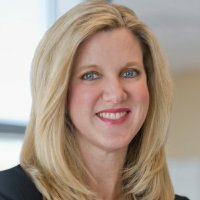 Though a relative newcomer to healthcare marketing—she came to Aetna in 2014—Dawn has a wealth of experience in marketing leadership, with a decade of experience in management at Citi. One of her special passions is content marketing to women, bringing value and relevance to an often taken-for-granted demographic. Roymie’s list of accomplishments are as long as her job title. She helped transform the patient experience at University of Miami Health System. She has won multiple awards, including the 2010 Hispanic Women of Distinction Award. And she is a speaker and facilitator, presenting on healthcare marketing, business development, and more. Mark has over 20 years of experience in the industry, managing digital strategy for some of the largest hospitals in Pittsburg and North Carolina. Mark’s background in web development combines with marketing knowledge and a passion for healthcare to make him a leader in digital healthcare marketing. GE has been quietly killing the social media and content marketing game, with various branches of the business enjoying success on Instagram, Facebook, and even Pinterest. Mark orchestrates the global strategy for GE Healthcare marketing, a standout in a company that is bringing great marketing to life. Digital marketing is a rapidly evolving field, and Shwetta is thoroughly equipped to match the right technology with the right message. After cutting her teeth at Amazon, Shwetta moved on to Providence Health & Services, where she specializes in building and running high-quality marketing teams. 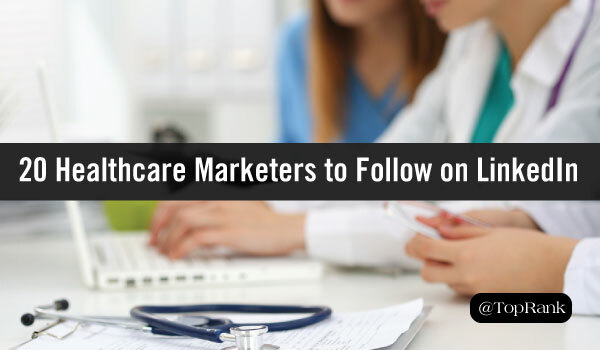 Content marketing is relatively new territory for healthcare providers. Craig and his team do excellent work managing content creation and curation across social channels for the Methodist Health System. 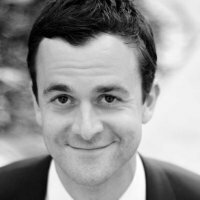 In addition to content strategy, Craig oversees marketing campaigns, web presence, SEO, and monitors brand perception for the health system. In his four years with El Camino Hospital, Hijinio has achieved impressive results, including increasing the hospital’s Facebook following by over 237%. 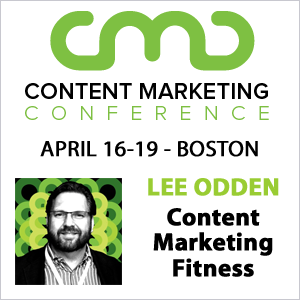 Make sure to check out his articles published on LinkedIn, including this informative guide to tracking conversions. Named 2016 Content Marketer of the Year by Content Marketing Institute, Amanda is an inspiration to every content creator longing to add personality and passion to their work. For example, this piece she published last Thanksgiving – it’s got attitude to spare, but is also honest, transparent, and ultimately valuable. Arra is a graduate of the Harvard Business School for Executive Education and recipient of the 2016 Chief Marketing Officer Award from the International CMO club. He’s also a gifted writer with personality to spare, as evidenced in this article he published last year. We all want our marketing to make a difference in people’s lives. Healthcare marketing goes one farther—good marketing of a great health product or system can literally save lives. So it’s a good thing we have these 20 marketers, and many more, on our side. To fill out your LinkedIn feed with great marketing insights, read 20 Talented Brand Marketers to Follow on LinkedIn.